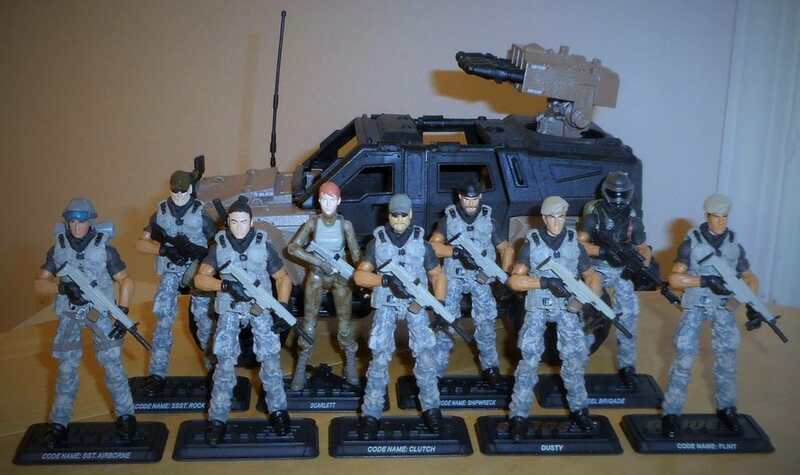 Post your GI Joe Retaliation Photos HERE! No more photo hiatus for me. i got all to these from ross, with the exception of lady jaye and joe colton at toys r us. im new to the gi joe figure line.. but im loving it and currently addicted and i cant stop!! Last edited by rlaurentorres; 05-13-2014 at 05:38 PM..
Ret Flint makes for great troop builders. Last edited by Mr Hebime; 01-28-2018 at 02:37 PM..